On the daily chart Tenkan-sen line has crossed Kijun-sen from below, forming Golden Cross reversal pattern. Under the pressure of the Cross the pair has entered the cloud. Chinkou Span line is above the price chart; current cloud has reversed from descending to ascending. Senkou Span A (0.8866) line is the closest support level. 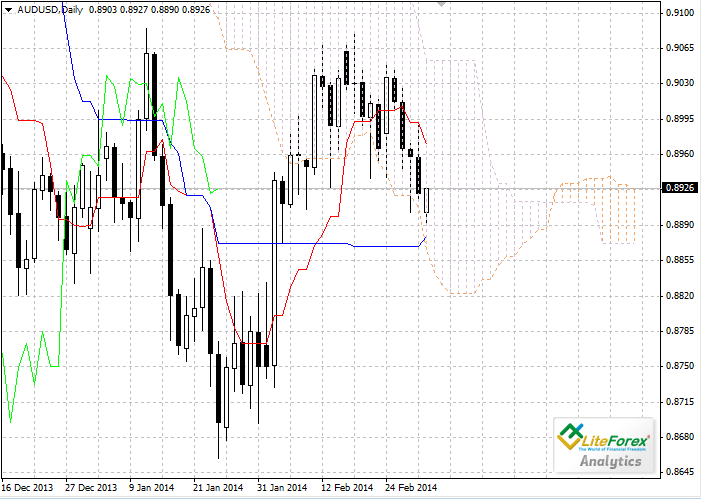 The next obstacle for the price on its way up will be the upper border of the cloud (0.9053). On the four-hour chart we can see a development of the downward movement, although on the daily chart the price is still within the cloud. 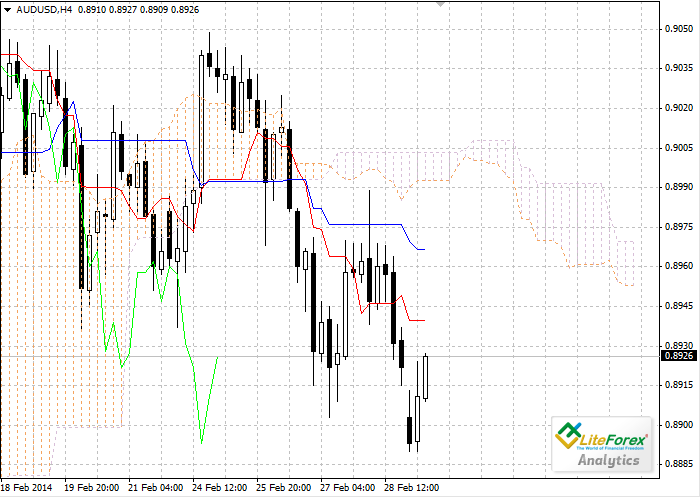 Target for the short positions is 0.8890.